Select a project type below to learn more. 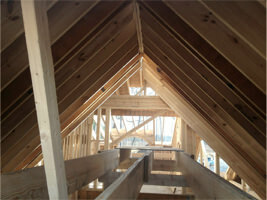 Building a new home or remodeling can be an exciting and rewarding experience. At Witt Construction we pledge to make it so. With decades of experience and a solid reputation as the custom-home builder of choice, our firm is well positioned and prepared to tailor and personalize your project to meet your individual needs and your every expectation. Whether you choose from our Custom or Classic Series to build a new home or expand and enhance your current living space through renovation*, our firm focuses attention on every detail and ensures that the home we build for you meets your lifestyle and your every expectation. 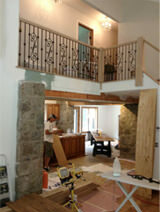 No matter how you define your ideal home, visualizing, financing and building it is a multifaceted process. Knowledge of what to expect, understanding the process, and learning about ways to avoid costly mistakes are essential to successfully getting the job done. Our firm’s process positions us to handle every aspect of your project from analyzing your budget, reviewing site feasibility or site selection, considering design specifications, estimating costs, and determining a project schedule. At Witt Construction, we share in your anticipation and joy of building your home, the home you’ve dreamt of and planned for. Our pledge to you is to work collaboratively; guiding and advising you to make the right decisions every step of the way. Download our brochure for more information or contact us to schedule an appointment.